Heaven on earth, that’s Italy’s Amalfi coast. For somewhere that occupies such a small portion of the planet – 40 kilometres from end to end – the Amalfi has a massive reputation. But nothing – words, pictures or videos – can prepare you for its glories. She was wrong. Every step revealed a new delight, be it medieval villages, vineyards and citrus groves cut into cliffs, lush woods, World-Heritage listed churches, slivers of beach, or the astonishing blues of the Gulf of Salerno. We’d run out of superlatives long before the end of our eight-day trip. 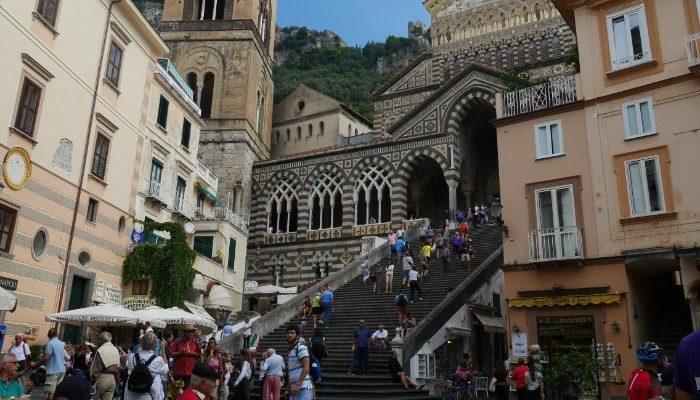 Unequivocally, walking is the way to “do” the Amalfi. Sublime beauty needs to be savoured not sped past. And, anyway, who’d want to drive through an area that boasts more than 1000 hairpin bends? If you’ve ever been to Italy you’d know that restraint is not a trait practised by Italian drivers. Apart from a couple of local buses and a ferry ride along the coast (a journey that should be on every traveller’s bucket list), we did the Amalfi under our own steam with Peregrine. 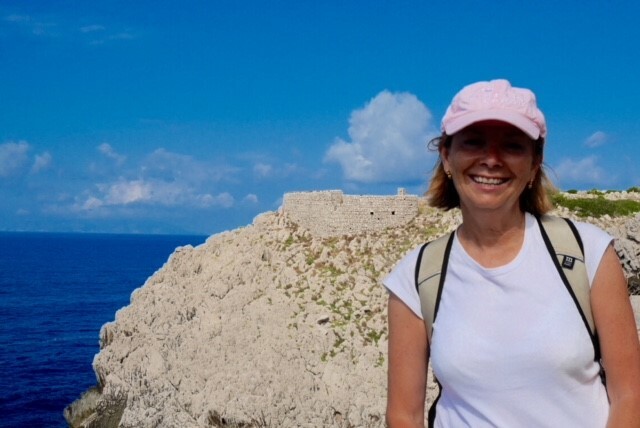 To be frank, I wasn’t the only one of our group worried I wouldn’t be up to walking the steeper slopes of the Lattari Mountains, the dramatic backbone of the Amalfi Coast. But it wasn’t an issue and I wasn’t the youngest of the group of 12. I’d prepared for the holiday in the months before with regular gym sessions and a few forays into the bush but generally, our walks on the Amalfi were more of a ramble than hard-core hikes. Distances ranged from 4 km to 7 km but were spread across the day with numerous pit stops for refuelling. Slow but steady was our guide Marco’s mantra. It’s your holiday, he’d add. Sure, there were a couple of steep scrambles that had us all puffing and panting. But stopping to gulp down air meant more time to drink in the views. A win-win situation really. And a ready-made excuse for enthusiastic indulgence at meal times. Not hard to do given the quality and quantity of the local produce. Nor was there any pressure to do it all. 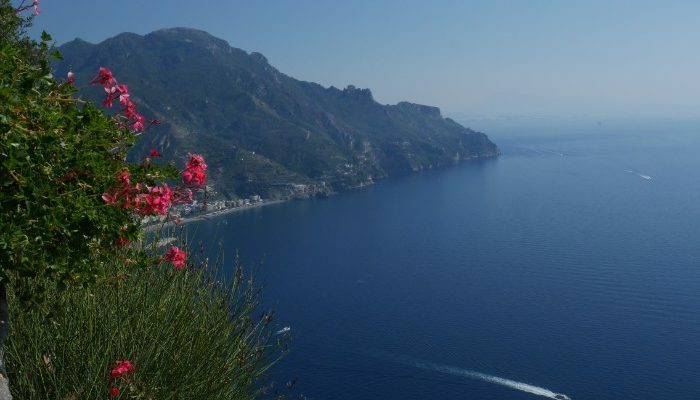 When a couple decided to catch the local bus from the exquisite cliff-top town of Ravello rather than walk back down to sea level because they fancied a couple of hours reading on the terrace of our terrific hotel in Atrani, no one thought twice. At dinner that night they were as happy with their choice as the rest of us were with our decision to follow Marco’s lead through alleyways and along the coastal track back to Atrani. Atrani, our home for four nights, is the smallest town on the Amalfi coast. Its near neighbour, Amalfi, is the biggest. 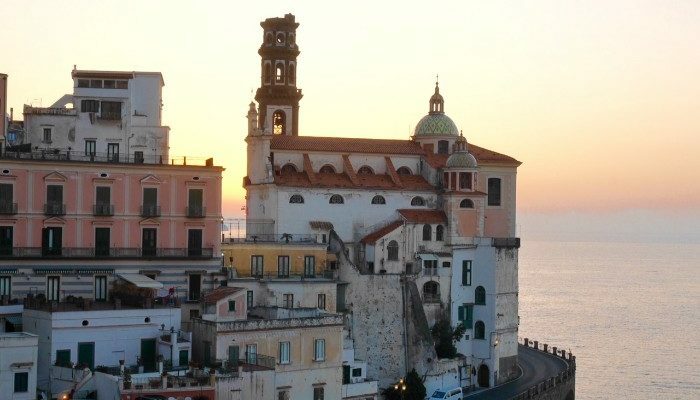 Both are beautiful but Atrani with its picturesque central piazza, pebbled beach and traditional shops, is less touristy than Amalfi, 10 minutes walk away. The same applies to the mountain village of Agerola, where we stayed for two nights in a warm and friendly traditional alpine hotel. It, like Atrani, delivered insight into life as it has always been lived in this glorious part of the world. The coin-operated fussball tables outside cafes were always in use, the shops sold essentials not just tourist fodder and the food served in unpretentious restaurants was hale and hearty. Coffee was strong and cheap and the air was cool and clear. So, too, was the water spouting out of the local fountain. Absolutely safe for drinking was Marco’s recommendation. Local knowledge counts here, especially when your language skills are limited to pleasantries. Marco steered us in the right direction in so many ways. The best gelato on Capri, where to eat well and cheaply when we weren’t dining with the group, the delights of the Coste d’Amalfi wines, and the fact that the red was perfect with the local tuna. He explained that the local liquor, limoncella, was prized because the Amalfi Coasts lemons were the best in the world. Choosing my favourite places and hike of this memorable holiday is like trying to choose my favourite child. Each was exquisite and surprising in its own distinctive way. Capri, the mecca for international hedonists, was as ritzy as I had imagined. It has it all, with one exception. No bargains. But I suppose the rich and famous who flock here don’t care about the trivial things that occupy mere mortals. 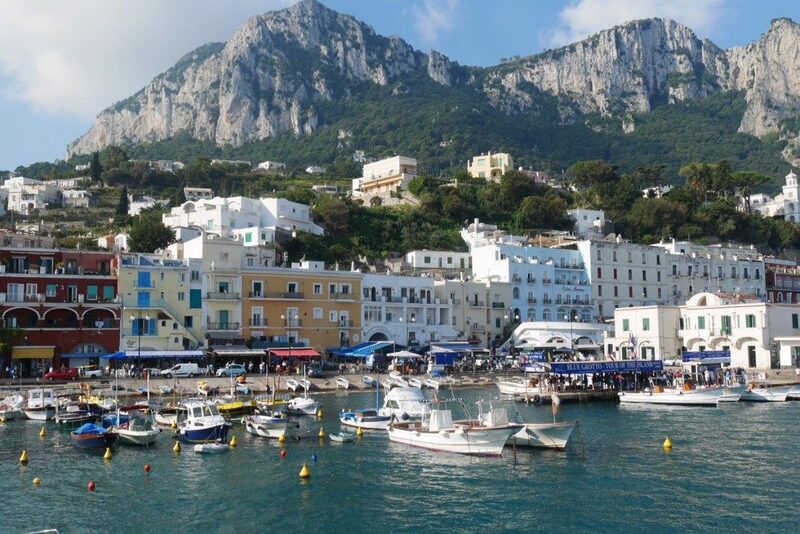 Our ramble on Capri took us beyond the glitz and glamour through a labyrinth of narrow laneways and pathways, past houses, grand and humble, lush gardens, schools, football fields and tiny village shops. In short, we saw a slice of life that most visitors don’t discover. Equally famous Positano was another day’s destination. As beautiful as its ice-cream coloured buildings and narrow, vertiginous cobbled streets are, it did not set my heart a’flutter like other spots on the coast. The ferry ride from Positano back to the town of Amalfi along the length of the coast certainly did. No exploration of the Amalfi coast would be complete without it. It gives a perspective on and reverence for the endeavours of generations past who carved a life out of the imposing cliffs with little more than their own hands. But if I’m being honest, I can’t get the medieval village of Ravello, with its winding cobblestone streets, lush gardens and sweeping views of the Mediterranean out of my mind. I’m not the first to be seduced by its beauty. Writers, actors and celebrities of all ilk have all fallen under its thrall. Ibsen, D.H. Lawrence, Virginia Woolf, Richard Wagner, Graham Greene, Greta Garbo, Humphrey Bogart and First ladies Jackie Onassis and Hillary Clinton to name a few. 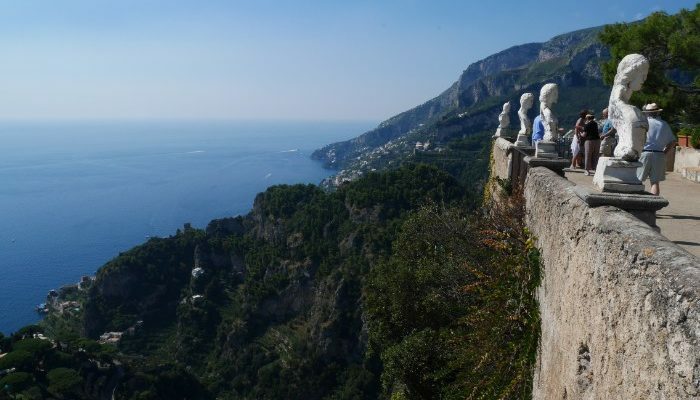 While American novelist Gore Vidal described the view from Ravello best panorama on earth. Heaven on earth indeed. A big bonus that comes with this trip is an overnight stay in Naples, a city that pulsates with life but could be intimidating without local knowledge, and a tour of Pompeii, where the dead reign. Both unforgettable, especially with local guides as is the case with the Spirit of Amalfi tour. Do you want to experience the beauty of the Amalfi Coast? See our range of Italy small group tours for inspiration. All images c/o Kay O’Sullivan. Kay O’Sullivan is no accidental tourist. More than a decade ago she decided to combine two of her favourite things - travel and journalism - and morph into a travel writer. Since then she has written on travel for numerous publications and websites.